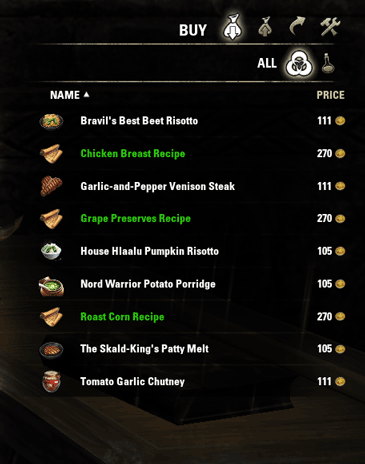 I went on the PTS and confirmed that the provisioning writs were available from the local chef. The price for the first group of recipes was 270g, as show here. Since only templates were available as characters, I was unable to confirm the prices for the higher group recipes.